From slinging beer, to setting up shop: we're looking for a few good volunteers to make this party go off! Be a part of the people that make AirFest happen! 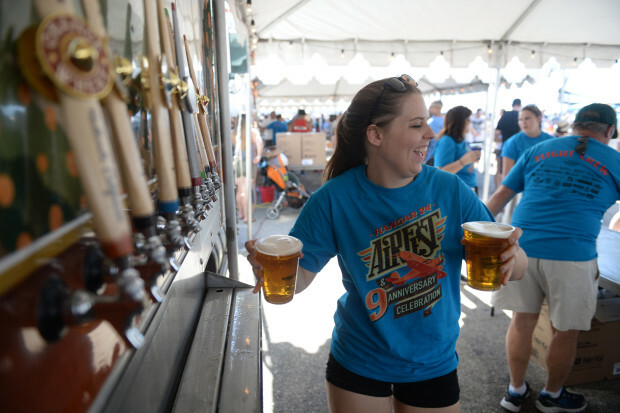 We're seeking fun people to assist everything from set-up to beer slinging. We have lots of shifts available for individuals and groups ages 15 and up. All volunteers receive a souvenier AirFest t-shirt, and a General Admission ticket to enjoy the fun after your shift. Are you a non-proft group? Volunteer and receive a donation as a thank you from Hangar 24 Charities!